suburbia — Writing… or Typing? 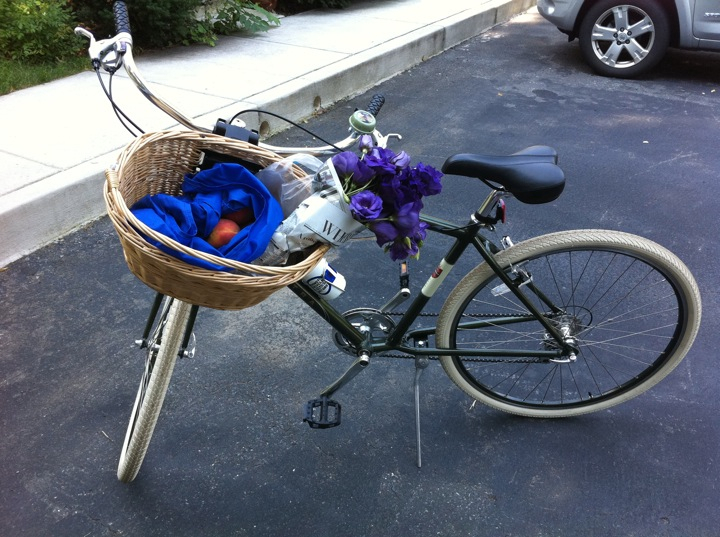 The month-long hot weather has broken, and I was able to take my bike on a trip to the local farmer’s market – fresh peaches, fresh veggies (under the peaches), and some lovely lisianthus. Bliss!